Create your own Snowy Village scene with these designs. This pack is great for quilts or use the different buildings in a curtain valance & pillowcases. 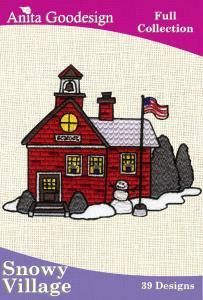 The schoolhouse and church along with the other motifs are all very cute and waiting for a creative touch from you.